PRODUCT APPLICATION:Aluminum Tripolyphosphate, as a new generation of white Antirust Pigment made by Xinsheng Chemical, is the ideal substitute of toxic antirust pigments containing lead or chrome. It turns out through practical applications and test results by over 100 well-known coating material producers or researching institutes at home and abroad since it came onto the market in 1986, that this product is superior to such antirust pigments as lead red, zinc chrome yellow and Zinc Phosphate in rust prevention and practicality. 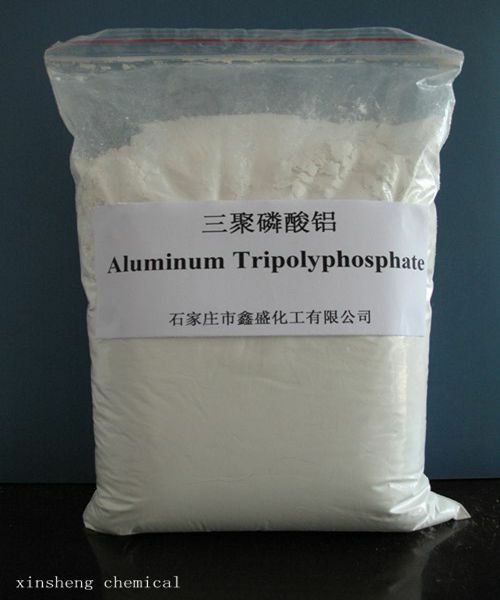 Modified aluminum tripolyphosphate is suitable for production of water paint while aluminum tripolyphosphate is suitable for oil paint. ATP is used in high-temperature resistant paints, wear resistant brake pads and Wheel slices. Looking for ideal Aluminum Tripolyphosphate Powder Manufacturer & supplier ? We have a wide selection at great prices to help you get creative. All the Aluminum Tripolyphosphate Pigment are quality guaranteed. We are China Origin Factory of Aluminum Tripolyphosphate Antirust Pigment. If you have any question, please feel free to contact us.